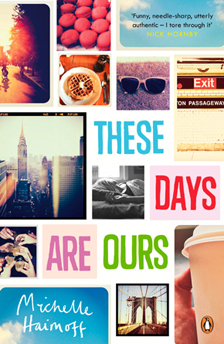 Michelle Haimoff’s debut novel These Days Are Ours is a witty and reflective story of a group of bright young things trying to make sense of life and love in post-9/11 New York. The action shifts when the main protagonist Hailey finds herself attracted to a man who seems like no other she has dated before. But do we all have a type? She puts the two-adjective game to the test. It all started in high school. My friend Emily, famous for her theories, decided that everyone’s type could be boiled down to two adjectives and it became a game among our friends. The idea was that if you looked back on everyone you’ve ever dated (not pined for, but actually mutually loved, or even just hooked up with), you would realise that all of your romantic partners have at least two undeniable commonalities. These two commonalities are the qualities you are drawn to in a partner above all else. They’re not what you claim to be drawn to – we’d all like to think that we seek out partners who are attractive, smart, worldly, kind, funny, well-dressed, etc. – but your inescapable type. The qualities to which you are always, inevitably, attracted, whether that’s a source of pride or shame. To play the two-adjective game you have to take inventory of all your exes and think about what characteristics unify them all. Even if on the surface said exes couldn’t seem more different from each other. Even if they’re not the same gender, as is the case with Emily who is engaged to a woman who is just as ‘cocky’ but ‘sheepish’ as the men she was dating fifteen years ago (back then she jokingly referenced Aladdin, the animated Disney prince, as the embodiment of her type). It always takes a while for a person to come up with his/her two-adjective type because it’s hard to separate the reality of who you date from the fantasy of who you’d like to date. This is likely because who you’d like to date is a combination of what you want and what you’ll settle for, whereas who you actually date is just what you’ll settle for (and what you won’t settle for). As the saying goes, “one man’s trash is another’s treasure”, or the dealbreakers one person has will be completely overlooked by another person with different dealbreakers. It’s important not to fall back on obvious adjectives like ‘attractive or ‘hot’ unless these are truly non-negotiables (as in one friend’s case, whose type truly is ‘beautiful’ and ‘accommodating’). It’s a given that all of us were attracted to our exes or we wouldn’t have dated them, but beauty is subjective and rarely the unifying theme. This is why your friends need to weigh in. They can probably see the common thread of your previous relationships more clearly than you can and, if you can refrain from being defensive, what they’ve seen that you’ve missed could be enlightening. Two adjectives are tough because none of us would think to describe someone we loved in so few words. But when you only have two adjectives to describe all former relationships, two is actually a lot. For example, a med school student, a drummer in a band and a ski instructor might seem to have nothing in common but maybe all three are ‘focused’ and ‘condescending’. Or maybe they’re all ‘informal’ and ‘good-natured’. If you look hard enough there are always commonalities among exes.The adjectives don’t have to be positive or even apparent. One friend claims he’s only ever dated women who were ‘lucky’ and ‘culturally dissimilar’. My husband says he’s only ever dated women who were ‘interested’ and ‘assertive’ (check and check). After a good deal of soul searching my friend Rachel realised that everyone she ever fell for was ‘tall’ and ‘there’. One of my friends had to wrack her brain to come up with qualities that her first boyfriend (a preppy, quiet white boy) and her husband (an energetic Latino guy) had in common, and after much interrogation she finally realised they were both ‘fit’ and ‘obsessive’. They were obsessive about different things, but no matter, that’s what they had in common. It’s possible to refine your adjectives with age and experience. At first the consensus was that my type was ‘passive’ and ‘tortured’ (Rachel said that I was drawn to the guy at the party sitting in the corner alone, playing with his gum wrapper), but after my last relationship ended, I decided that the unifying theme among my exes was that they were all ‘witty’ and ‘depressive’. Rachel was quick to point out that ‘witty’ and ‘depressive’ is everyone’s type. (Thank you John Cusack in Say Anything, Ethan Hawke in Reality Bites, Hugh Grant in everything). Now that my husband is in the mix I have to revise my type again, though of course he seems totally different to me from the others. Because most of you don’t actually know my husband, or my friends Rachel and Emily, I’m going to play this game with couples you do know. Couples we all know (or at least all of us reading a literary website). Following are the two-adjective types of famous literary couples. Romeo likes women who are ‘morbid’ and ‘shrewd’. Juliet likes men who are ‘unaffected’ and ‘demonstrative’. Elizabeth Bennet likes men who are ‘introverted’ and ‘reflective’. Mr Darcy likes women who are ‘contrary’ and ‘uninterested’. Anna likes men who are ‘alternative’ and ‘carefree’. Vronsky likes women who are ‘anxious’ and ‘escapist’. Jay Gatsby likes women who are ‘unavailable’ and ‘insincere’. Daisy Buchanan likes men who are ‘charismatic’ and ‘damaged’. Charles likes guys who are ‘spoiled’ and ‘magnetic’. Sebastian likes guys who are ‘loyal’ and ‘closeted’. Dagny Taggart likes men who are ‘nonconformist’ and ‘important’. John Galt likes women who are ‘idealistic’ and ‘authoritative’. Ron Weasley likes girls who are ‘proactive’ and ‘bright’. Hermione Granger likes boys who are ‘brotherly’ and ‘unpredictable’. Ammu likes men who are ‘gentle’ and ‘self-possessed’. Velutha likes women who are ‘acerbic’ and ‘vulnerable’. Ifemelu likes guys who are ‘thoughtful’ and ‘uncompromising’. Obinze likes girls who are ‘independent’ and ‘direct’. You might recognise some of these dynamics in your friends’ relationships or in your own relationship, and actually it’s possible that some of these fictional characters would gravitate towards other partners if they ever were to meet. If all of the above characters were in a bar, Mr Darcy might approach Ammu, who would be instantly turned off by his accent. He might then approach Dagny, who would grill him about what exactly he does at Pemberley all day. Charles might ask Gatsby if he could buy him a drink and Gatsby would, of course, decline. But as the night wore on, Elizabeth and Anna might find themselves in a corner of the bar, throwing darts, commiserating about societal expectations of women, while Velutha, Hermione, Paul D. and John Galt brainstormed a wizardry iPhone app. Daisy and Vronsky might do karaoke to Fun’s ‘We Are Young’, while Sebastian danced with a drunk Romeo, Ron Weasley made out with Juliet, and Dagny, Obinze and Gatsby cosied up in a booth talking about how new money is much more noble than old money. Just as in real life, sometimes fictional characters seek out personality traits in their partners that will prevent them from ever finding happiness. But part of the conflict in these stories, and in ours, is deciding at what cost to pursue those spellbinding relationships. The two-adjective game is a game anyone can play at any age (and in any era) and it can provide a great deal of insight into the characteristics you value most – and show you that the common theme of all of your relationships is you. 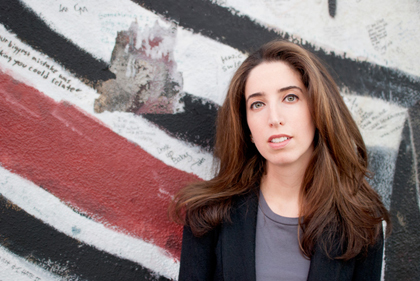 Michelle Haimoff’s writing has appeared in The New York Times, The Los Angeles Times, PsychologyToday.com and The Huffington Post. She is a founding member of NOW – New York State’s Young Feminist Task Force and blogs at genfem.com. She was raised in New York City and currently lives in Los Angeles. These Days Are Ours is published by Penguin.